A few years ago I was on a 3-person team to integrate and turn around two recently merged companies. Both were losing money and market share. As I dug into their Market Effectiveness activities it became clear that two business processes were at odds with each other. Their manufacturing processes required lengthy setups and long production runs to compete, whereas their Sales incentive scheme featured low base pay with 90% of potential compensation coming from straight sales commission. Their rational and earnings-oriented Sales people were motivated by the compensation scheme to chase any order they could get—typically lots of “cats and dogs”—simply to feed their families. The typical orders they “won” were complex, small volume specialties that competitors didn’t want, completely opposite to what their plants could manufacture economically. The compensation system encouraged Sales to act in ways opposing the company’s interests and thereby deepened its profitability problems. We overhauled the sales compensation system and began the work to make their manufacturing processes more responsive and cost effective. 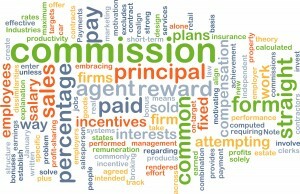 Of course, one size does not fit all when it comes to the Sales compensation system best suited to a company’s circumstances—strategy must dictate what scheme makes most sense. E.g. a company in an emerging, high-growth potential market might offer a higher commission or added sales bonus opportunity for sales growth. A business targeting growth via innovation might increase commissions for new product sales, or a company seeking growth thru share gains might incent these at higher levels than for sustained volume. A firm looking to harvest mature business may emphasize margin improvements and spending reductions as results it rewards most. Note that incentive systems unintentionally promoting Anti-Strategy aren’t unique to the Sales function. A leading industrial products manufacturer paid production line workers a supplemental “output bonus” for achieving demanding production goals. This brand leader learned that such a system created a culture of output and service at the expense of product quality and sometimes even employee safety. The company subsequently refined the system with incentives linked to quality performance and offsetting penalties for quality problems or safety violations. We offer a variety of operational and organizational of tools and workshops as part of our Company Physical®, as means to ensure your company’s methods and processes serve your strategy. Group50’s team are all former executives with market-leading manufacturing and distribution companies, professional managers who know how to install and sustain best management practices. Group50 has designed a series of critical business process assessments, workshops and other tools that enhance business performance and get at the roots of Anti-Strategy. Request more information here, call us at (909) 949-9083 or email us at info@group50.com.